Screen Pointer – Old Tech. New Spec. Not a bad car boot last weekend, lots of sellers and not too many gawkers, which is how we like it. 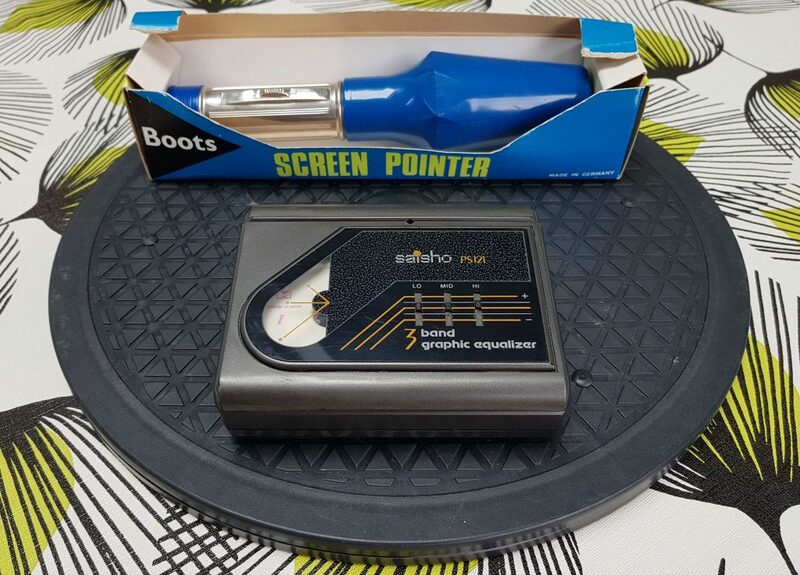 We scored some Old Tech on the very first stall, first a vintage Screen Pointer for £1, very similar to the one we picked up a few weeks ago, which will make a nice little project in the future. The standout find though was an early 1980s personal stereo, a Saisho PS-121. It also set me back £1 and is almost identical to the first one I owned. Back in 1984 I went on my first “big” school trip to Paris – a not inconsiderable 23 hour coach trip from Newcastle. With the growing popularity of personal stereos the school suggested that we all bring one along, to help keep us entertained on the journey. 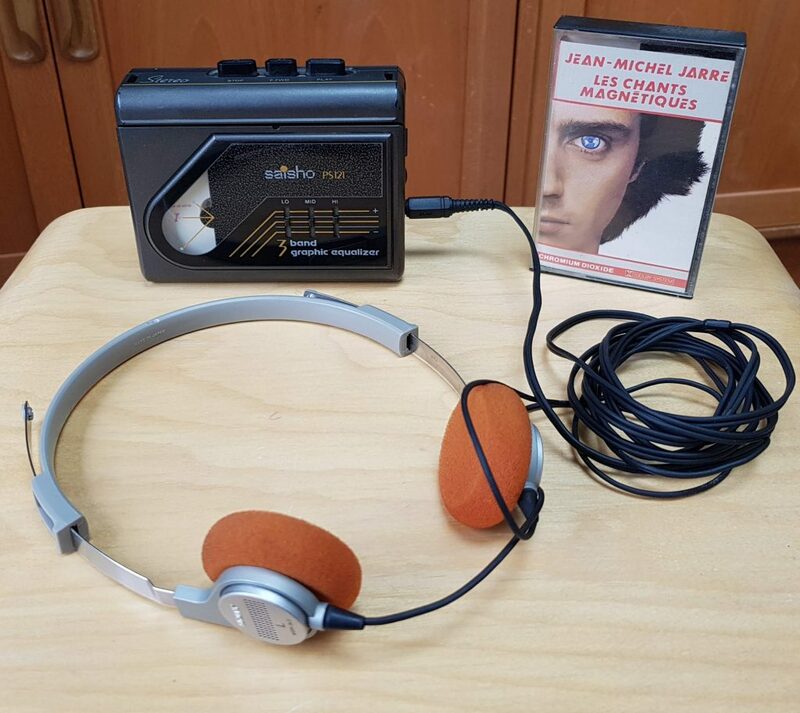 Of course Paris was the ideal place to expand my tape collection, and I picked up a couple of Jean Michel Jarre cassettes (french versions, ooh la la!) while we were there, listening to them throughout the trip. It was really nostalgic to dig out the original tape and give it a play (amazingly the stereo works perfectly), sounding even better through the Walkman headphones I snagged a few weeks ago. As we left the sale I spotted a pretty old TV Turntable, which I’ve been after for a while – I need to present the Raspberry Pi VCR at the upcoming Raspberry Fields event, but it’s really tricky as it weighs a ton and has both a screen on the back and controls on the front – this turntable will hopefully make things much easier! 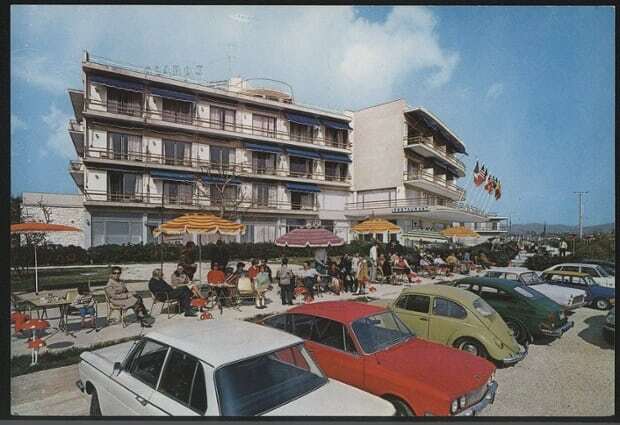 Just imagine – It’s the 1970s, you’ve just returned from your first package holiday and the neighbours are assembled in your front parlour to sit through your slide show. The fondue is flowing. But how are you going to point out your hotel room or that dog in the background that stole your calamari? Use a bamboo cane like an animal? Thankfully Boots has you covered, with their “brilliant light arrow” projecting Screen Pointer! Another find from Beccles antique market, this piece of 70s culture set me back a modest £1.50. It’s basically just a torch with an arrow filter and a focus mechanism. I’m not sure how well or even if it works as the connections are corroded and the bulb long blown, but it could make a really interesting and practical conversion. 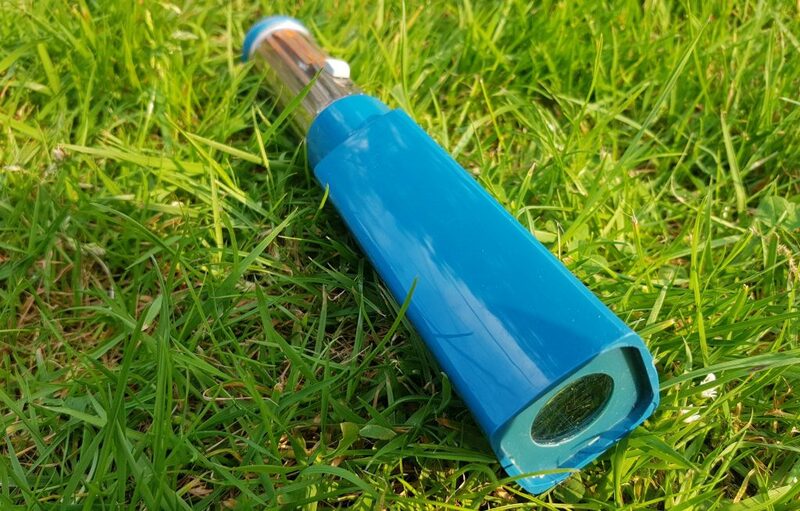 Using AA or coin cells instead of the original SP11 (C Cell) batteries would leave lots of room to manoeuvre inside, and the bulb could be replaced with a super-bright LED, a COB (Chip on Board) LED from a modern torch or even a laser, using the original switch to power it on.